The winners of Computer Weekly's Blog Awards 2010 will be announced on the 18th of November. That means you have one month (plenty of time) to head on over to Computer Weekly and vote. 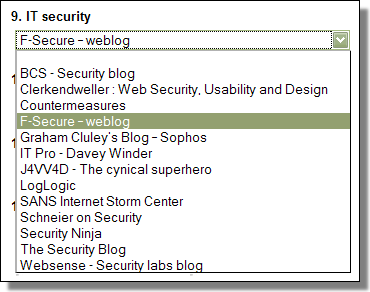 F-Secure Labs is eligible in two categories.